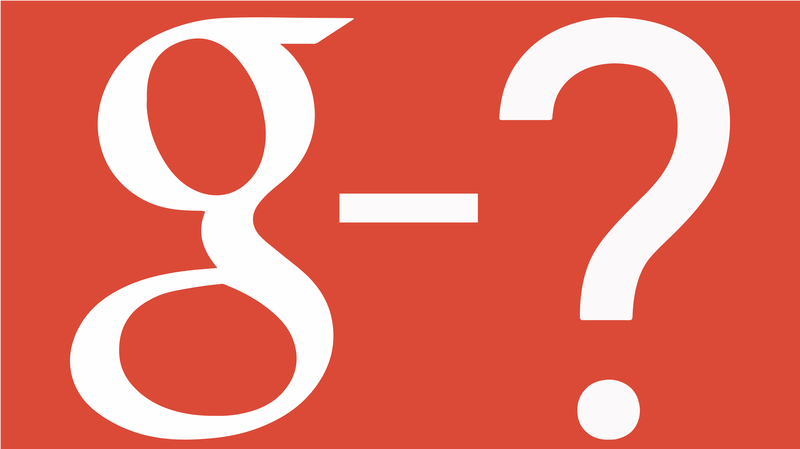 Okay so Google+ will be no more, but is it really a negative with Google Posts around? The news of the termination of Google+ was met with a mixture of emotions by marketing agencies and complete disinterest by most users. Many agencies, such as ours, had been diligently publishing content for clients over an extended period of time, thanks to its (okay somewhat underwhelming) neo-SEO traffic benefits. Despite various distractions of ‘efforts to protect data; security lapses; blah blah’ coming out of Google HQ – make no bones about it – low engagement was the main reason the plug was pulled on Google’s most recent attempt at a social network. Look at it this way – if it was a huge success and the 111m users were performing as an advertising magnet, it would not be getting terminated. Isn’t it incredible a platform can have a tenth of a billion users and isn’t making enough money to bother continuing? While Google announced on October 8, 2018 that 90 percent of Google+ user sessions are less than five seconds, it has to be said there were plenty of users out there really making it work for them. However, they were generally working within some global niche that utilised Google+’s ability to bring together a large number of people within circles of interest to communicate easily. However, there’s no getting away from the fact Google+ was never user friendly, which I would suggest was the main problem. Few have the patience to slog through instructions on how to use a social network – with all the successful ones, you just log in and get right to it. While using Google+, there was always the feeling they were trying to be too smart with it, which was ultimately its downfall. If you compare it to Facebook, which it was trying to usurp, it was the equivalent of sitting a Rubik’s Cube next to a ten-piece Thomas the Tank Engine one and seeing which the world preferred to have a go at. The billions being generated by Google’s text-based PPC advertising quasi-monopoly wasn’t enough and Facebook’s success in the display advertising market was the driving force behind Google+’s inception. In fact, Google has been trying to play catch up in this area for the best part of two decades. And some might be surprised to learn, this isn’t Google’s first failed attempt at a creating a social network, with three other flops already in the dustbin: Orkut (RIP 2004), Wave (RIP 2009), and Buzz (RIP 2011). At least Google can’t be accused of giving up too easily. Indeed, history suggests they will already be on their way to having another crack at Zuckerberg. Next time I am certain they will make it infinitely more user-friendly. Google+ never felt designed for people to keep in touch with each other and enjoy each other’s content. That part shouldn’t have been difficult – just adapt the simplistic forms of the winning platforms already out there. But no – Google had us trying to navigate its Circles, Collections and Communities, which all sound like more or less the same things anyway. Thanks but no thanks. And we didn’t forget when you admitted you were pretending to help our social life, but were really going to use it to spy on us even more. Come on – it’s not as if Google didn’t have all the user data and marketing might in the world to make it a success. Can you remember back to 2011, when it was launched with warnings there would only be a limited number of users allowed initially and many had to wait for an invite to join? Huge numbers were clamouring for a G+ account with a widespread FOMO coursing through the globe’s electronic socialites. With users into the nine figures, getting people in the door was never the problem. The issue was, when they got in there, it was a complicated library, full of sections and subsections. Most who tried it out merely kept their library card in their wallet in case it sorted itself out, but inevitably turned and left to find somewhere more interesting to hang out; while others bold enough to shout into the room, were met with stony silence and retreated for a dopamine hug from their tried and tested social media spots. However, as always, there were groups of the more studious types willing to play Google’s game and become power-users and those who could see how to leverage the numbers for their own gain. However, they weren’t the mainstream and social networks only thrive on a big scale upon being accepted by the in-crowd. Many brands and G+ experts had millions of users, which would have taken endless hours of hard work over the years to generate, so the news must have been a hammer blow for them, as they look towards one of their prize assets being switched off on August 2019. 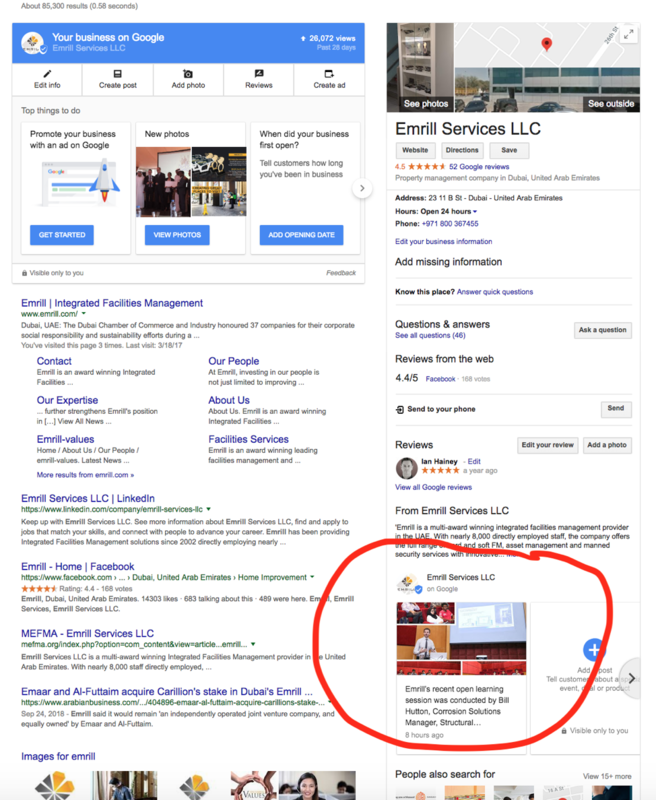 I like to think G+ may have played its part in warming up many businesses to the idea of using such platforms to help their performance on Google search. The principle was sound and there was certainly a lot of traffic generated. However, we had already switched our client value-add neo-SEO posting activity to Google Posts on Google My Business (GMB), which for some time has been driving much more traffic to client websites than Google+ ever did. We are happy to not have to duplicate the work anymore across a multitude of client accounts, so it’s not a tearful demise for us. Some experts have boldly marked GMB Posts to one day eclipse Facebook. However, this isn’t comparing apples with apples, as I see it as performing another function: much more a refinement of using the nifty GMB interface to provide simple content marketing and make a real difference in terms of SEO. GMP Posts is delivering all the reasons we used Google+ for clients, but doing it much better, driving web traffic to those willing to invest some time in it and improving the search experience. Google is arguably best placed to pull it all together and provide the best comprehensive social network for businesses – therefore GMB looks like the relatively early version of the ultimate social media platform for businesses to promote themselves. You can even look at GMB Posts as a micro-blogging option for the time-short. Download the user-friendly app, fill in your company details to the best of your ability and it will even remind you every week when the previous post expires. You can upload your next post in seconds from your smartphone if you are organised enough. And the engagement figures we have been seeing as an agency across clients are several times more impressive than those of Google+. The journey from clicking on the post to viewing the related website is much more obvious and inviting. 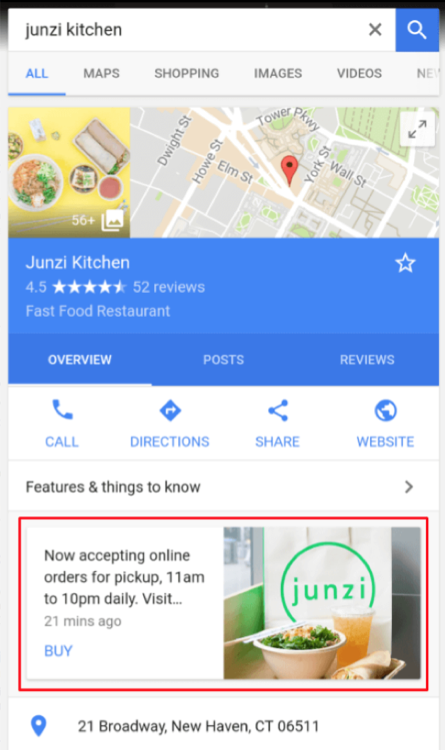 GMB posts are simply a better way to bring targeted search engine users to your website from Google – there is really no excuse for businesses not to be using it. There’s no head scratching admin, such as with Google+, you don’t need to work out your Circles from your Communities, or where your contacts are and how to upload new ones – just post and go. It’s also extremely effective if you have a sales promotion or event coming up. It has ready made click-through buttons and calls to action ready made for your business-type to append to your post and make more conversions. As this makes your business and its products and activities stand out for potential customers browsing Google who have found your business online through searches, it is worth sparing a few minutes regularly to keep it fresh. So I firmly believe the binning of Google Plus is a big positive for businesses, rather than a negative, as long as you take the opportunity to make the most of Google Posts and GMB in general. GMB’s simplicity and clear usefulness for making decisions during search, higher engagement and superior traffic-driving stats, make it a much superior proposition to Google’s latest big failure.